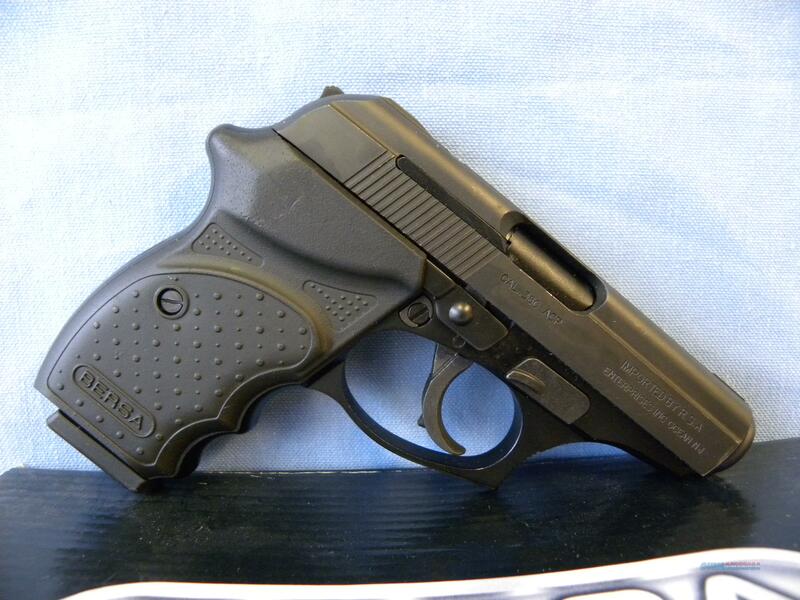 Description: This is a Bersa Thunder 380CC pistol chambered for .380 ACP. This pistol has a 3.25” barrel with a clean bore and sharp rifling and comes with two 8 Round magazines, all the original factory paperwork and original box as well as the safety key lock with the Argentine flag. This is a great lightweight pistol for concealed carry and can easily fit in a pocket or purse. There is some minor finish wear towards the muzzle end.